In these days of high-tech graphics and intuitive user interfaces, a retro, joystick-equipped, button-covered, suitcase-sized arcade machine might seem like a bit of a hard sell. 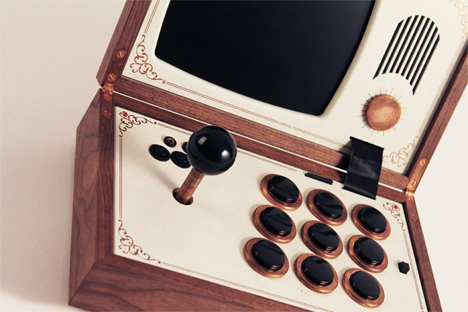 But the R-Kaid-R system from Swedish designer Love Hultén is a surprisingly beautiful throwback that even modern gamers can appreciate. Each wooden R-Kaid-R cabinet is hand crafted – a reaction, says Hultén, to the mass-produced plastic throwaway gadgets in wide use today. The cabinets are designed to breathe and grow with time rather than to become obsolete almost immediately. The beauty of every R-Kaid-R comes largely from the amount of care put into its creation. 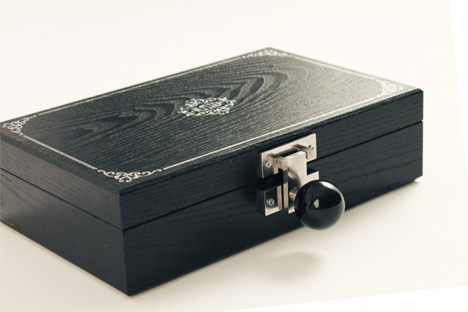 The joystick is removable and doubles as a handle for the case when it is closed. When the case is open and the joystick installed, the R-Kaid-R is capable of some pretty modern, high-tech feats. It contains an 8-inch LCD screen, rechargeable battery, USB port, and SD card slot. 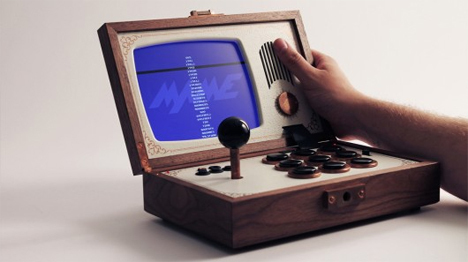 It has built-in support for MAME and ScummVM, letting gamers play their favorite games from retro systems like Super Nintendo, Atari 2600, and plenty of others. The R-Kaid-R runs on a custom OS and comes with the game Cave Story pre-installed on an SD card. The gorgeous craftsmanship that goes into each cabinet makes even the most rudimentary of 8-bit video games seem like a work of art. The craftsman likens it to hanging a painting on your wall. This particular “painting” will set you back a lot more than even the most extravagant XBox One bundle, however – one R-Kaid-R is priced at €2,499 (around $3,400). For serious gamers and for serious retro enthusiasts, the R-Kaid-R is worth every shiny penny.